Random photos and stories from my big adventure. Be prepared for a long post that's full of pictures! 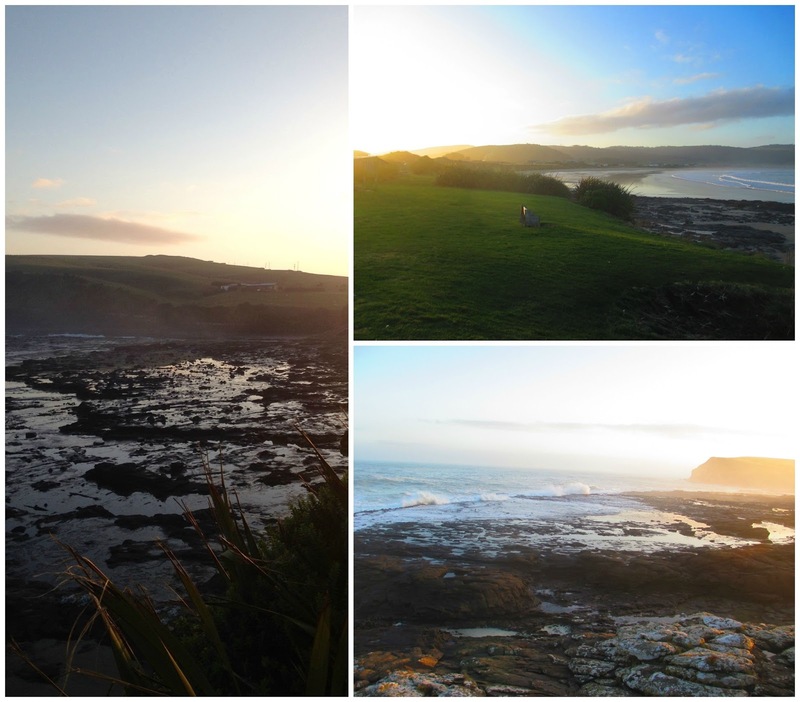 New Zealand is just so beautiful that I would hate to leave any out. The last ten days of my life passed by in a wild, colourful blur. 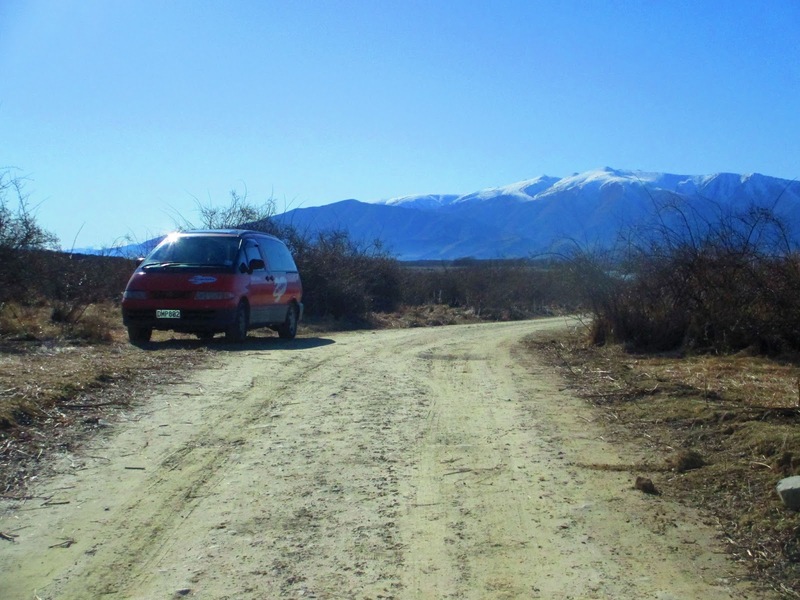 I spent those fleeting days exploring the South Island of New Zealand with Kristi, armed with a camera, brand new hiking boots, and a 1998 Toyota Estima affectionately named "Baby." 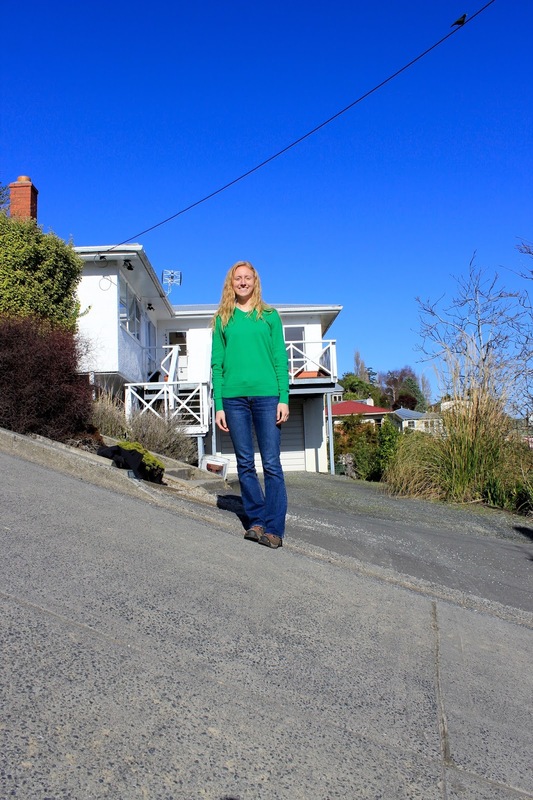 It's no wonder South Island Kiwis are so proud of where they're from. They go so far as to call it "The Main Land," even though less than a quarter of the population lives there. 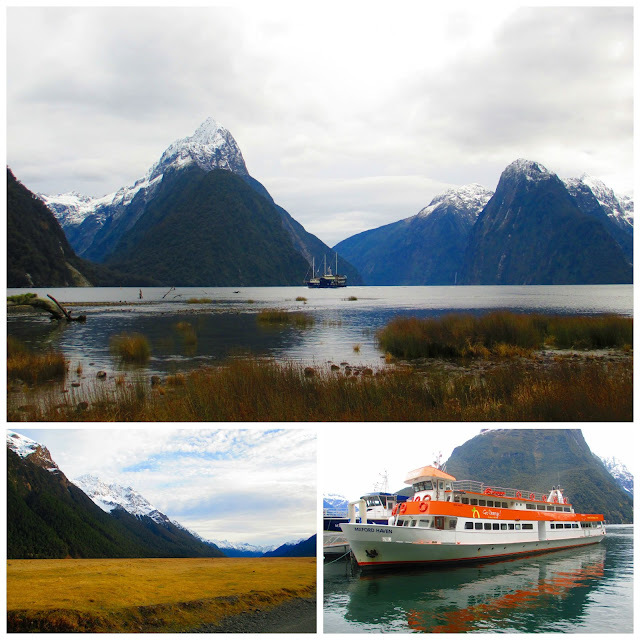 What they lack in people, they make up for in natural beauty: the South Island was stunning, to say the least! There's something for everyone there: sandy beaches, rolling hillsides, snowcapped mountains, blue lakes, rushing rivers, and everything in between. 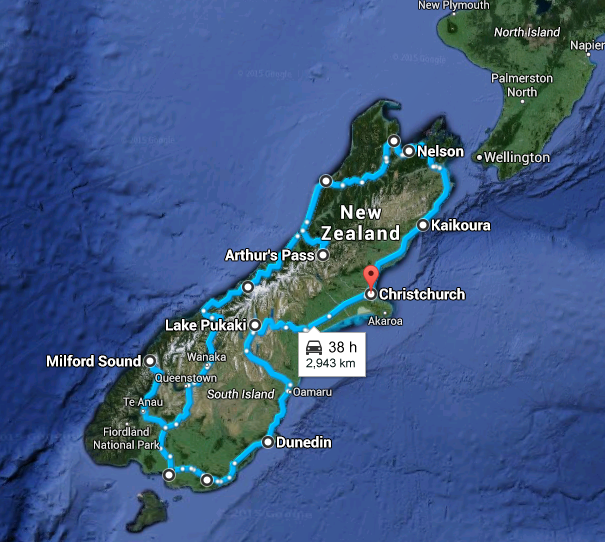 Our general route, minus a few side trips (and maybe a hundred U-turns, along the way). Middle: The New Zealand Parliament building or "The Hive." Next time I go to Wellington, I'm planning on touring this building. We just didn't have enough time to on this trip. Bottom: The three trolls outside of The Weta Cave museum, which houses heaps of movie memorabilia and was closed for the day for maintenance. We were pretty disappointed since we spent close to two hours trying to find it. At least we still got some cool pictures with some hungry trolls! Look at me, driving on the wrong side of the road! It's really not that hard. Roundabouts and one-lane bridges are kinda scary, though. After we picked up the van, we headed to the lakes. 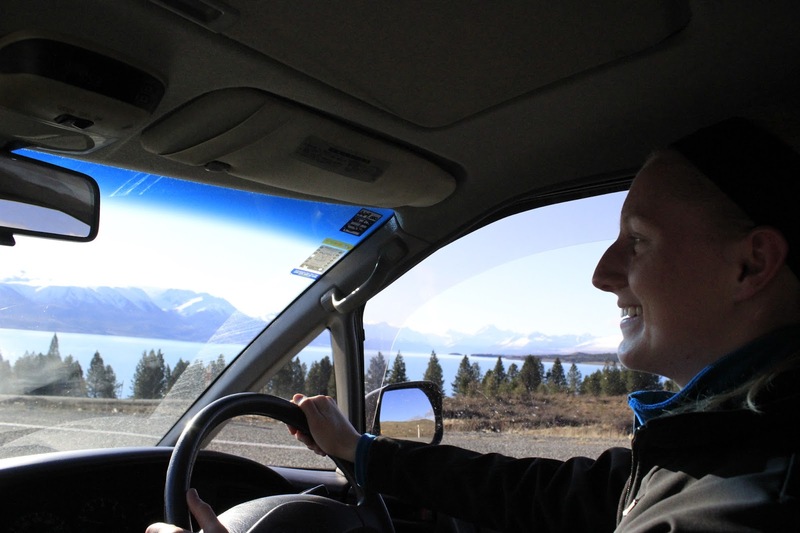 Lake Tekapo and Pukaki are two bright blue lakes in the centre of the South Island. The water is an incredible almost turquoise colour. We stopped to take some pictures, explore a little, and then headed towards Mt. Cook. Throughout this whole trip, we never stayed in one place too long; our fear was that we would run out of time at the end and have to hightail it back to Christchurch before we could see everything we wanted to see. Mt. 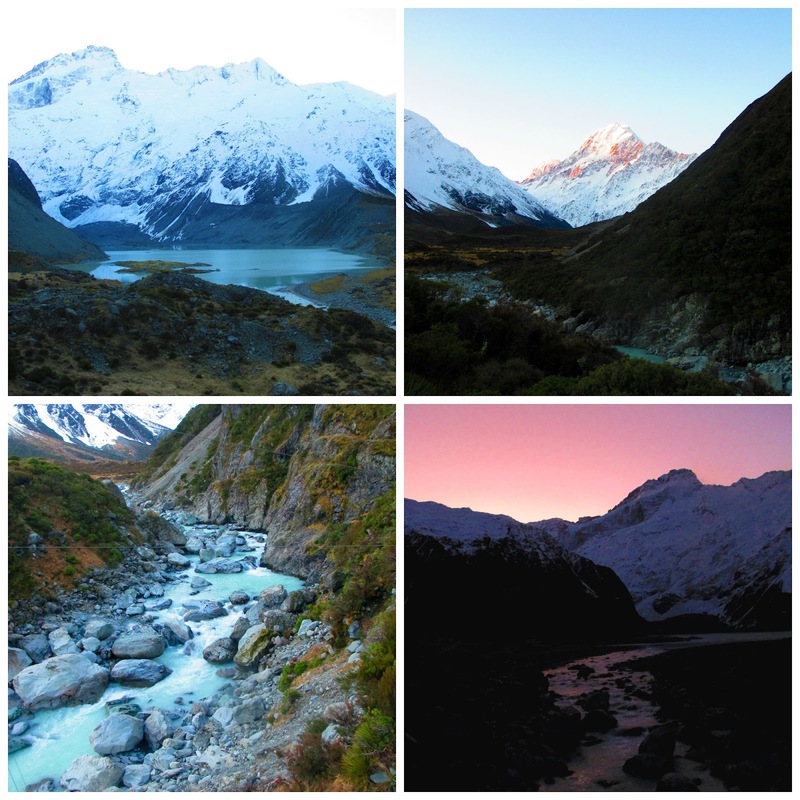 Cook (top right) is the highest mountain in New Zealand, at 3724 metres. 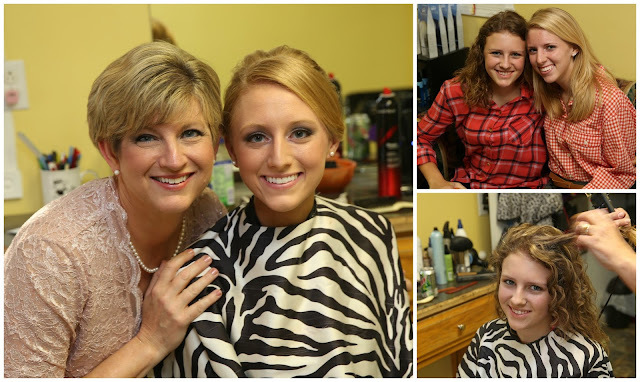 Photo credit: Kristi. So artsy. We arrived at Mt. Cook National Park two hours before sunset and decided to hike for a little. We arrived at the perfect vantage point for the mountain at just the right time! The setting sun was glistening off the snow, and I was blown away! After the sun went down, we went to our campsite for the night. (New Zealand campgrounds have nothing on Defeated Creek, though. This was basically a big field with two "toilets," using that term loosely.) We cooked some rice on our little gas stove, and then went to bed. That first night was the coldest, and we bundled up really well before we went to sleep in our little camper van. 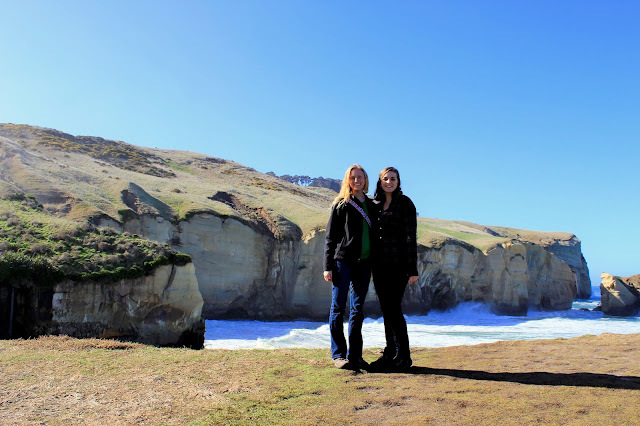 The next morning, we went to Oamaru to see the clay cliffs before heading to Dunedin. The cliffs were on private land, so we had to drive through a sheep pasture to get to them. Dunedin (pronounced Du-nee-din) was one of the most anticipated stops on our "itinerary." 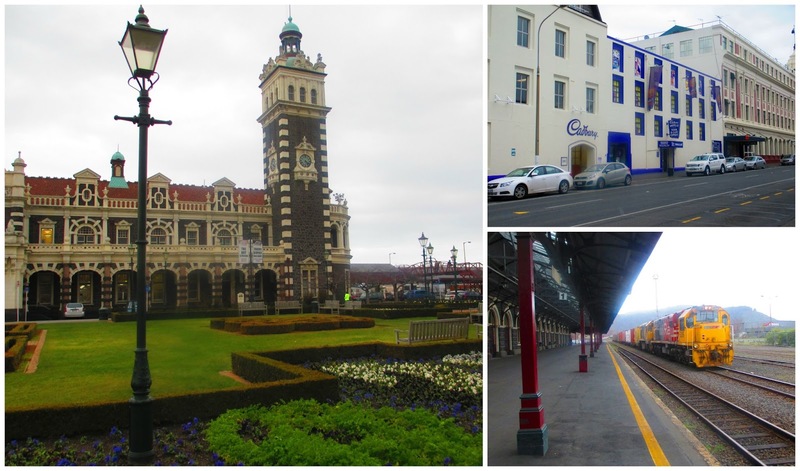 It's the second largest city on the South Island and has quite a European feel. In fact, the city has a lot of Scottish heritage! 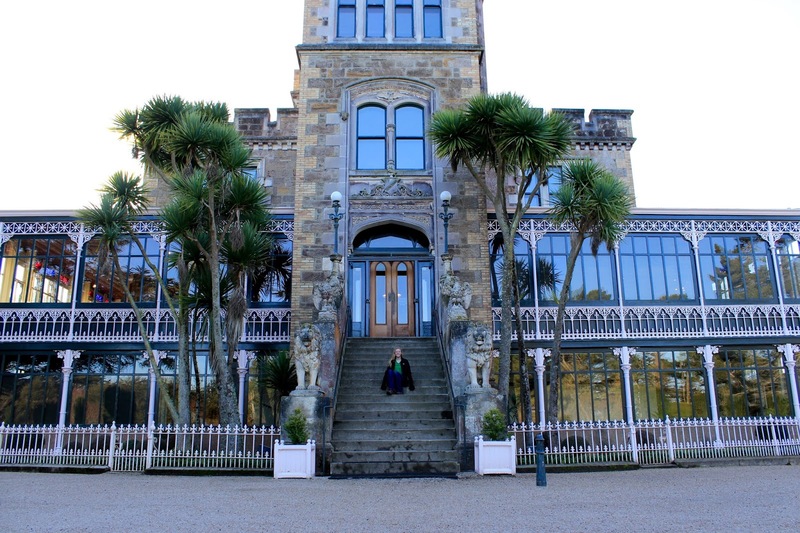 While in Dunedin, we visited cathedrals, train stations, the Cadbury chocolate factory, a cute coffee shop (of course), the steepest street in the world and a real castle! The city itself was so neat, with its cobblestone streets and old, majestic buildings. 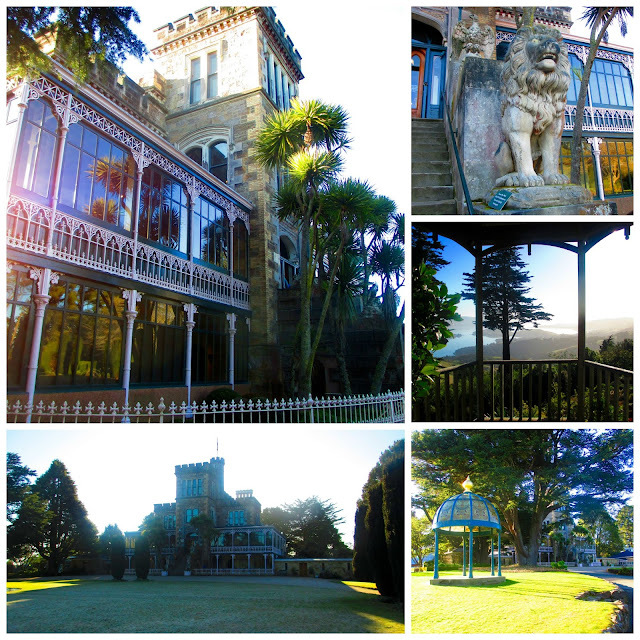 Larnach Castle. It was stunning! We were only allowed on the grounds and not inside, but we were still impressed. I felt like a Crawley sister from Downton Abbey! 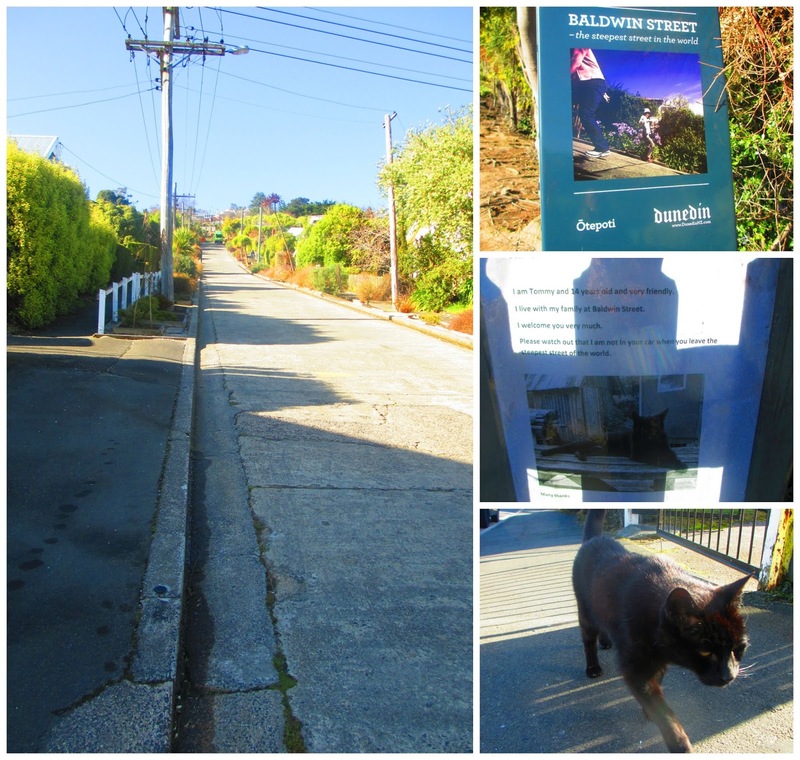 Baldwin Street: Officially the steepest street in the world. The climb to the top was very tough! 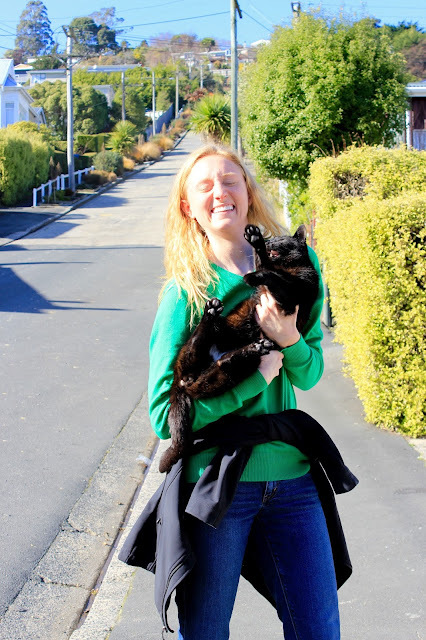 Tommy the cat welcomes everyone there, and Kristi took a picture of me (attempting) to hold him. I guess he instinctively could tell that I'm a dog person. This is my relationship with cats summed up in one picture. 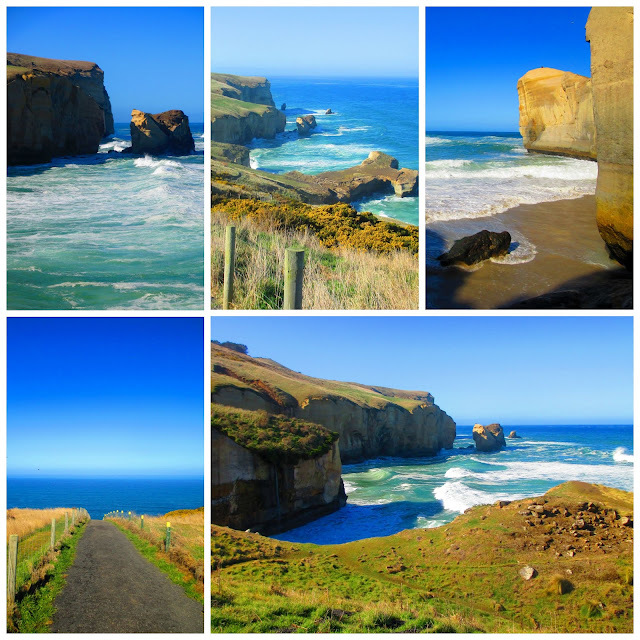 Tunnel Beach, just outside of Dunedin. This is probably one of my new most favourite places! After exploring the beach, we took off in hopes of seeing some penguins! Kristi and I had heard about a beach a couple of hours south that was a good penguin-watching site, and we timed it just right! Penguins tend to come on shore around sunset, if they even come up at all. Also, they are incredibly hard to spot; they blend in so well with the rocks on the shore. We were fortunate enough to see one, although you can't really see it in my picture. (Kristi has a huge zoom lens for her camera, so I think she got a good shot of him.) The penguin we saw was a yellow-eyed penguin, which is the rarest penguin in the world! Don't look too hard: there are no penguins in these pictures. These are the surrounding beaches at Curio Bay where we saw the penguin. Invercargill was next on our list. (This city actually contains the southernmost Starbucks in the world!) 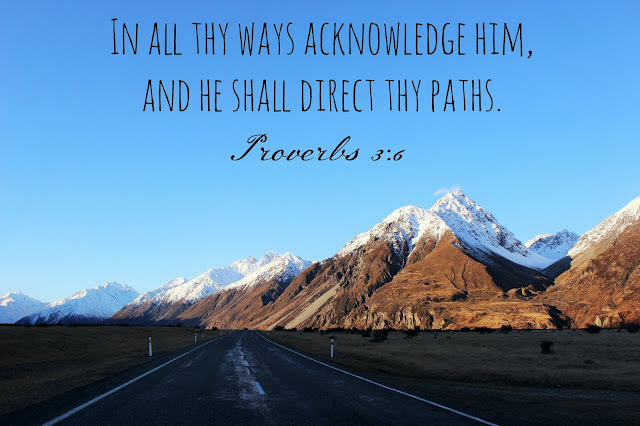 We stopped there to freshen up (in a Burger King bathroom of all places) before we headed to Te Anau. Oddly enough, Burger King has become one of my favourite places during this trip. New Zealand BK is way better than the American version, and they always had super fast wifi for when I needed to post some pictures, talk to Ben, or look up directions to our next destination. After roughing it the first few nights, we got in the habit of stopping at a BK before bed to buy an ice cream cone, wash our faces, brush our teeth, and change clothes before we parked for the night. (It felt like we were homeless, living out of our car. Haha!) Side note: for those of you who are wondering, we did shower during this trip, although I'm sure you can't always tell from our pictures. We stopped at aquatic centres and paid a few dollars for showers. Te Anau is the closest town to Milford Sound, another highly-anticipated destination for both of us. 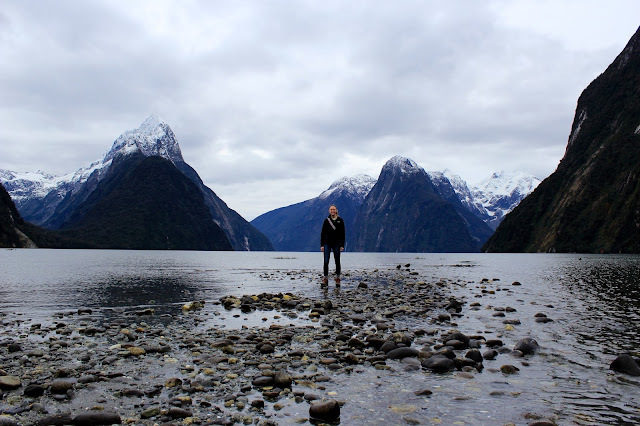 Milford Sound is one of the most iconic places in New Zealand, and its easy to see why! Even in the fog and clouds it was breathtaking. If I ever go back, I want to take a cruise around the sound, preferably on this big orange boat. It looks like so much fun! The drive to the sound is around 2 hours one way from Te Anau and takes you through sunny plains, snow, black tunnels, and finally, the sounds. There are no gas stations on the road, so there are warning signs everywhere about making sure you have enough gas, food, and water before you start the long journey. 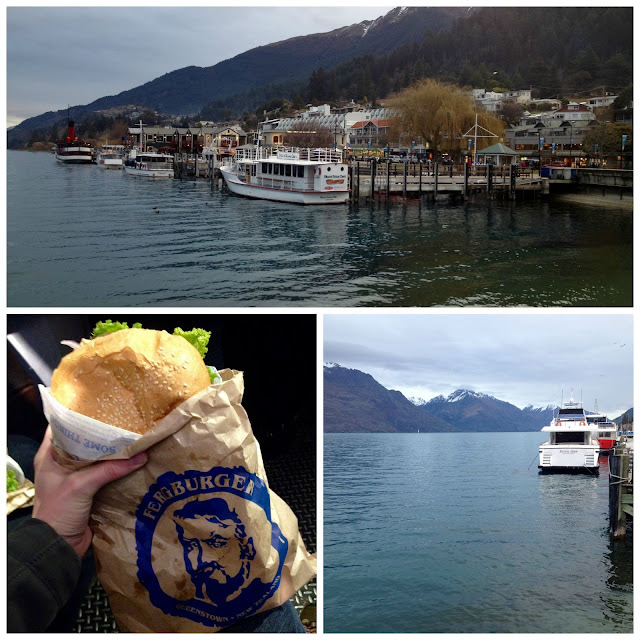 Queenstown, a small touristy city that reminds me a lot of Gatlinburg, was a welcome change from all the driving we had been doing. It became obvious that traffic was pretty rough, so we parked Baby and walked around Queenstown for the evening. I had a bacon cheeseburger at Fergburger, and it was the best hamburger I have ever had in my life! (Mostly because I was starting to get tired of the PB&J, granola bars, apples, and carrots that had made up my diet for the previous four days.) Queenstown has a little bit of everything, from souvenir shops and quiet cafes to world famous bungee jumping and skiing. The night ended with another BK run, and then we headed on to our campsite near Wanaka. 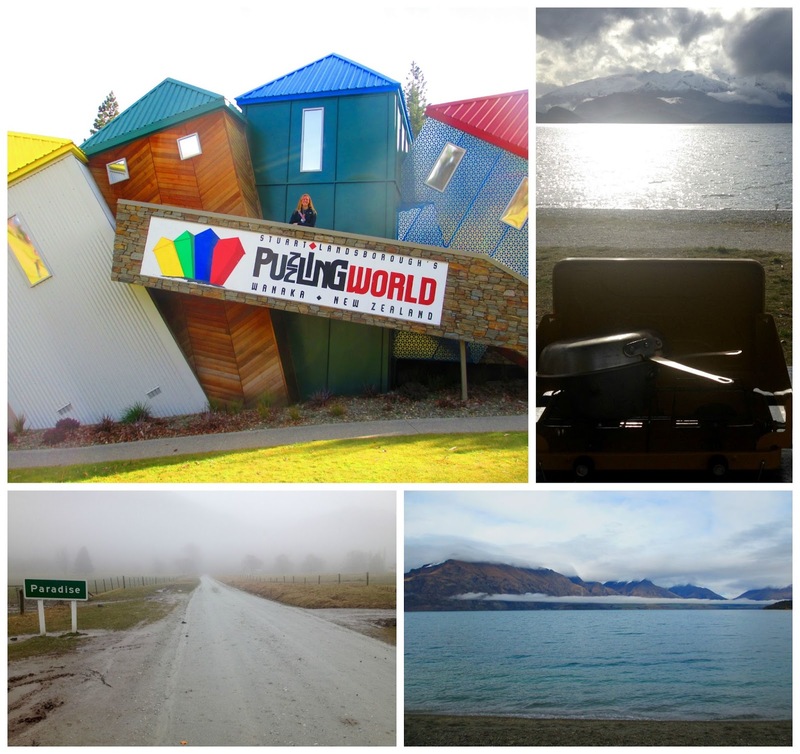 In Wanaka, we went to Puzzling World, a quirky little attraction that is filled with optical illusions, a giant maze, and (you guessed it) brainteasing puzzles! The maze was the world's first 3-D human-sized super maze. The goal is to find the four coloured corners and then make it back to the exit. Sound easy enough right? Nope. It was crazy hard. It took Kristi and I over an hour to complete it! We left hungry and frustrated, so we headed into town to make lunch by the lake. The wind was blowing, so lighting our tiny cook stove was a struggle, and it took us close to an hour to make Ramen noodles. (They were curry flavoured, and at one point I thought we were both going to have steam coming out of our ears. It was the spiciest food I have ever eaten, and I've survived Texas-style brats at the Hoot's house!) In desperate need of something cool, we went into town and got some ice cream before jumping in the van and continuing our journey to the glaciers. On our way out of town, we did a random two hour hike in the woods. It was super muddy and we spent most of the hiking skirting around huge puddles. The hike didn't lead to any spectacular views or anything, but we really needed to get out of the car for awhile. The glaciers were next on our list, and to be honest they didn't exactly blow me away. I'm glad I got to see a glacier, but it's just a chunk of dirty ice. 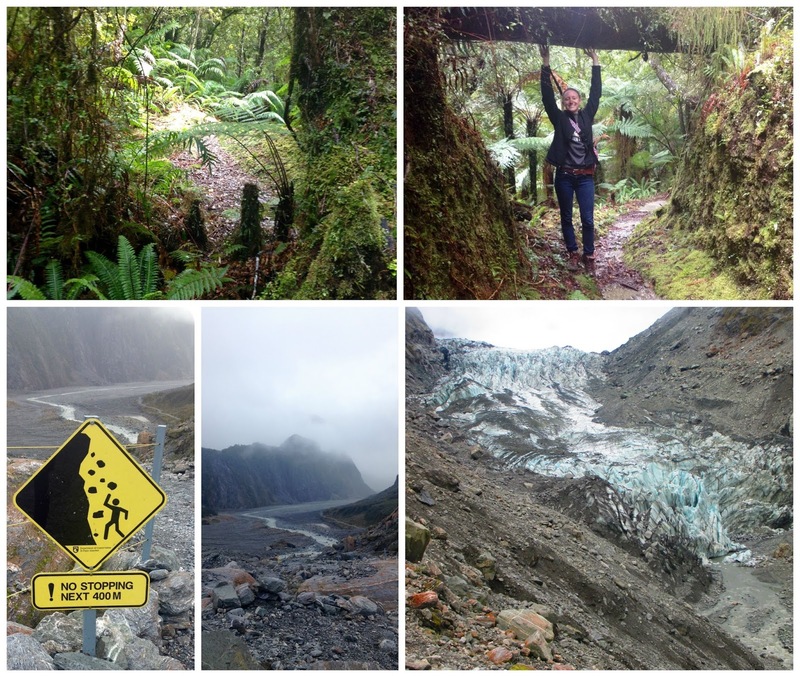 We hiked up to Fox Glacier, said, "Yup, that's a glacier," took a few pictures, and hit the road. We camped for the night in Arthur's Pass National Park, and the next morning we hiked to Devil's Punchbowl Falls and drove to Death's Corner on the way out of the park. (Kind of an ominous area, right?) All the roads on the South Island were so curvy and hilly! 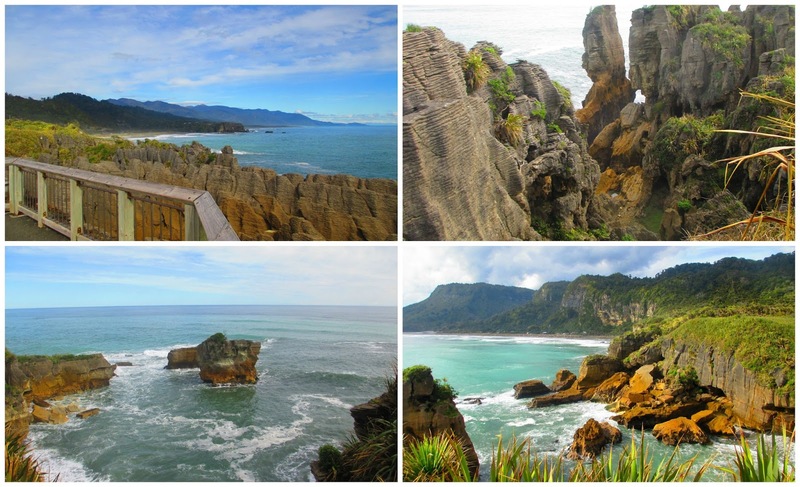 Once we (finally) made it back to the west coast, we stopped at Pancake Rocks. They're named that because they look like giant stacks of rock pancakes, although it's hard to tell in pictures. (I feel like I have to say that a lot. Everyone just needs to come see how amazing New Zealand is for themselves, I guess!) The weather was perfect, and it was nice to be somewhere that looked so tropical after spending the night up in the mountains. Abel Tasman National Park was the next stop, and it didn't turn out the greatest. This park has heaps of sandy beaches, palm trees, and beautiful hikes, but it was rainy. And the rain wasn't supposed to let up for another 24 hours. So, instead of wasting time in Abel Tasman, we headed towards Kaikoura, stopping in a few towns along the way. 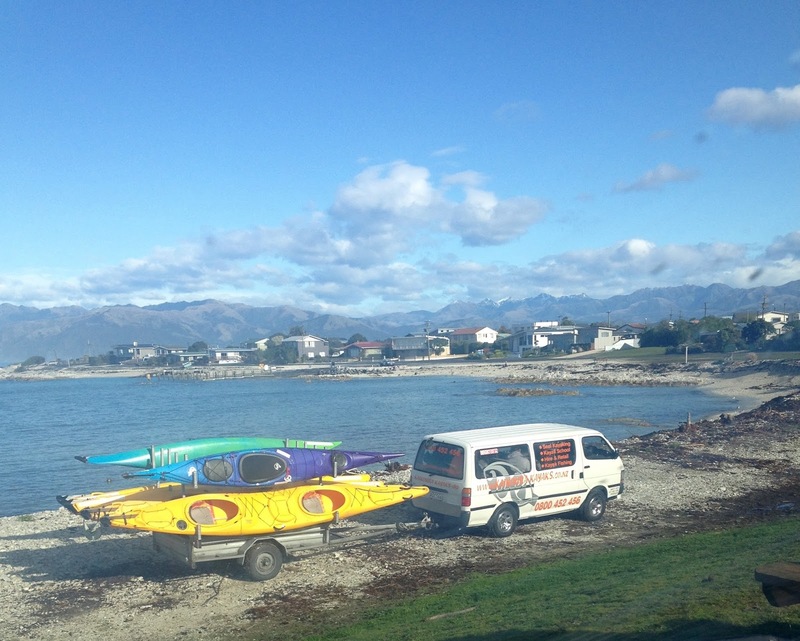 Kaikoura was amazing! It's where all the whale watching is. Although we didn't see any whales, we saw tons of seals! They were everywhere on the beach, and some even ventured out on the main road! The baby seals were adorable, but we were warned not to get too close; mama seals aren't too keen on strangers around their pups. 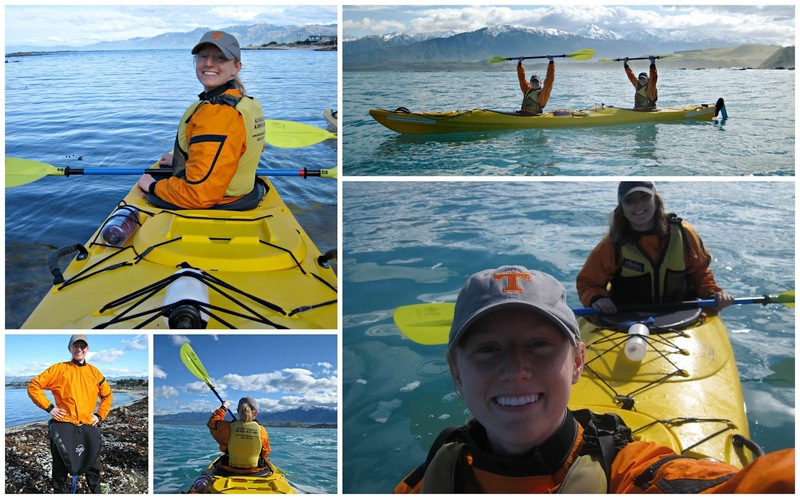 Since we weren't able to kayak in Abel Tasman, we decided to kayak in Kaikoura. We booked a last minute seal kayaking tour and went with six other people and a professional guide out into the ocean in our kayaks. This was my first time sea kayaking, so I took the front seat while Kristi steered in the back. It was so much fun! The waves weren't too big, and I only felt seasick for a few minutes towards the end. (Another group was being towed by the guide since they didn't feel great, but I'm way too proud and competitive for that. 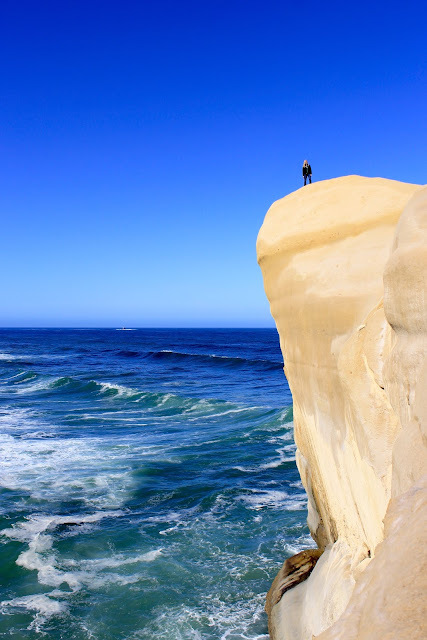 I just kept my eye on the horizon and thought about how amazing it was that I was in the South Island.) We were able to get pretty close to some seals on the rocks, and at one point, two seals swam right under our kayak! I could have reached out and touched them! Kayaking was the last item on our agenda, so after cleaning up a little, we headed back to Christchurch to explore just a little and return the van. Christchurch was okay, but there was so much construction due to the earthquakes a few years ago that it was hard to navigate around. We were still able to see some cool places, like the museum and a mall made out of shipping containers. On our last day with the van, we drove out to the pier and watched a surfer for a few minutes. (I really hope I get to try surfing while I'm here!) Before we could return Baby, we had to vacuum and wash her, and that took longer than we expected. Packing up was hard, and we were pushing it on time. We got the car back to the rental place early, but we still had to walk 1.5 kilometres to the airport before our afternoon flight, which was quickly approaching. We probably looked ridiculous basically running down the road, taking turns pulling a rolling suitcase. Still, we made it to the airport with time to spare, and even though they messed up Kristi's bag and boarding pass, we made it back to Wellington and then Palmy safely. 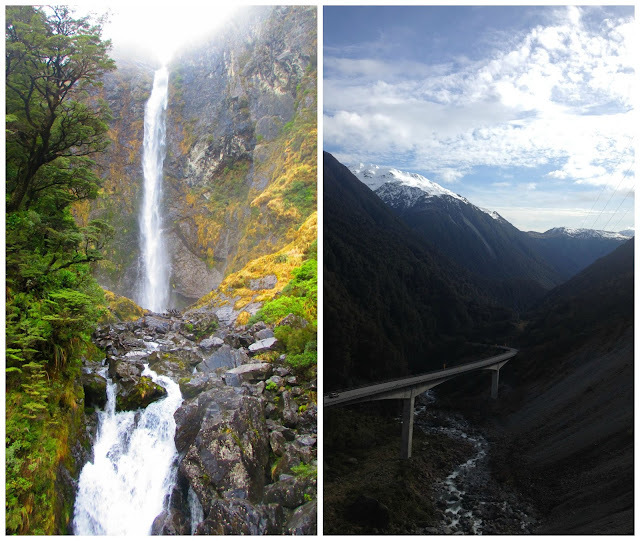 The South Island has been the highlight of my time in New Zealand, so far. I'm so thankful that I was able to go, and even though we had to "rough it" for ten days or so, I wouldn't trade this experience for anything. Now, with the semester halfway done, I'm beginning to plan for a few final small weekend trips in the North Island for my last two months in the most beautiful country in the world. 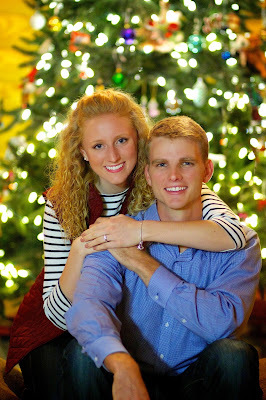 Thank you for all the prayers and for being so patient for this blog post! I realise it's been awhile since I've posted, and I hope I didn't worry any of you too much. Also, I didn't go into too much detail in this post: I've got to have some stories to tell when I get back! 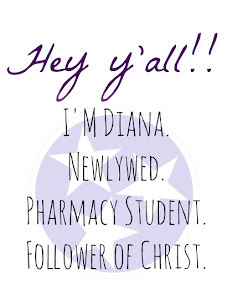 (Plus, if I wrote out every detail, it would take weeks to write and to read!) 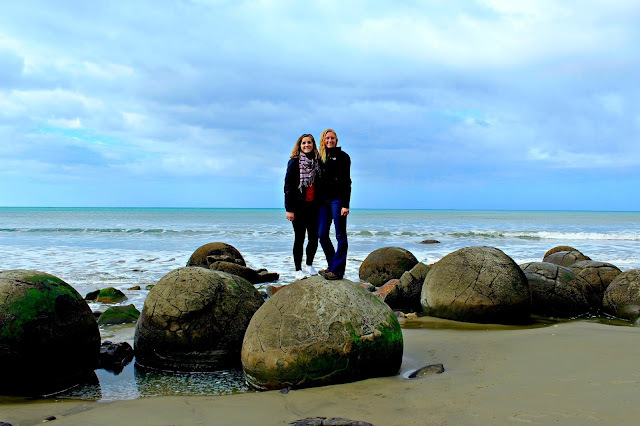 I'm so glad I can share my South Island experience with you, and I would love to answer any questions you might have about my trip. 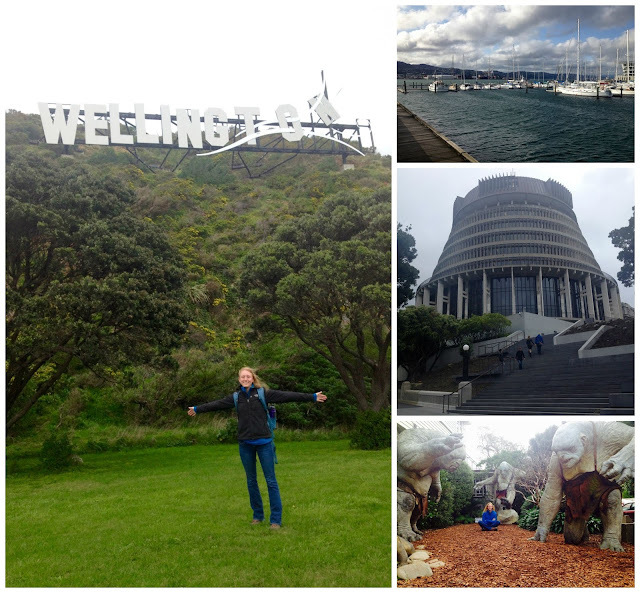 New Zealand is incredible, and this trip allowed me to see so much in such a short time and make amazing memories along the way.